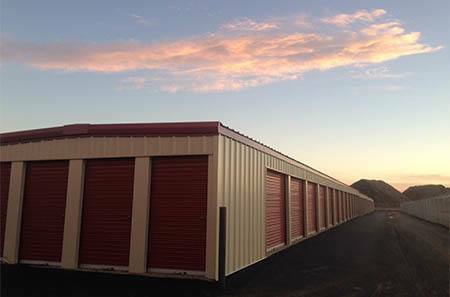 If you are in search of the best location in Williston for storing all your personal belongings, extra business files, and even your boat, RV or car, look no further! Whether you are making a big move to a new home or you’re getting ready to leave Williston State for the summer, we’ve got the best storage solution to fit your needs. Our storage units range in size from 5x10, which is about the size of a hall closet to 10x30, which is large enough to fit the contents of a 4-5 bedroom home. We offer a great value for your budget with student and military discounts, as well as ongoing promotions for our most popular sized units. Still not sure which size to choose? Our expert storage professionals are available seven days a week to assist you in selecting the right space to fit your needs. Give us a call or stop by to tour our beautiful new facility. Our number one feature is the truck and driver program. We offer individuals and businesses residing within 5 miles of our facility this exclusive perk. All you have to do is call to set up the appointment and we’ll do the rest. Not only does this program save you time, energy, and stress but we save you money as well! Why waste gas making multiple trips to your new storage unit when we can do it for you? 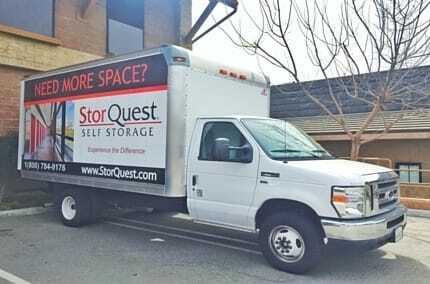 To learn more about the features offered at StorQuest Self Storage in Williston, contact our leasing office today.